Hamamatsu Photonics introduces the latest development within its MEMS spectrometer range: the C12880MA. This is an ultra-compact, fingertip size spectrometer head offering wider spectral response and high sensitivity over the UV to visible range. The new C12880MA offers a spectral range of 340 – 850 nm and a sensitivity two orders or magnitude higher than the original C12666MA Micro-Spectrometer. The new high-sensitivity C12880MA also offers 12nm resolution, a high speed video rate of 5MHz and incorporates a trigger function and a CMOS sensor with 288 pixels (14 x 200um pixel size). 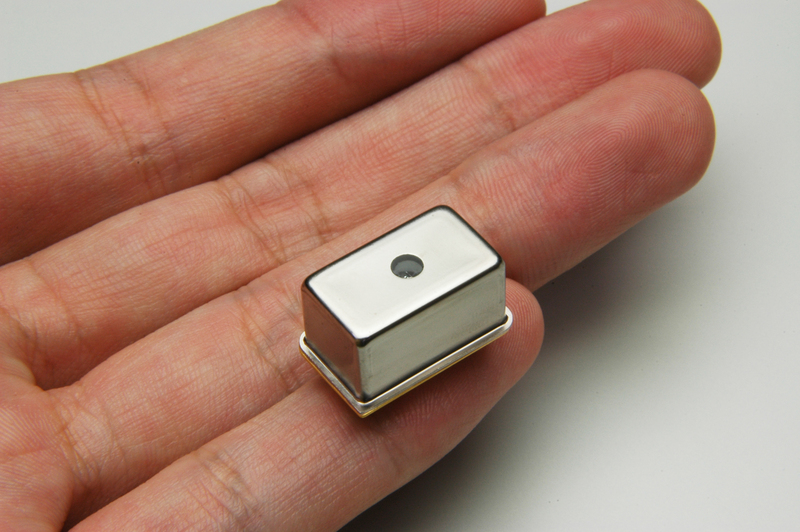 Realised by utilising Hamamatsu MEMS and image sensor technologies, the spectrometer measures only 20.1 × 12.5 × 10.1 mm in size, making it suitable for portable measurement devices (including compatibility with smartphones and tablets) in applications such as colour monitoring, LED testing, water quality monitoring and other environmental measurement instruments.